Looking for an Atlanta SEO Company? Boost your online business with Atlanta SEO services. Increase conversion, grow your audience, boost sales and more! Effectus360 doesn’t just offer a limited consultancy or occasional Atlanta SEO expertise – we are here to offer full solutions to companies serious about market growth. 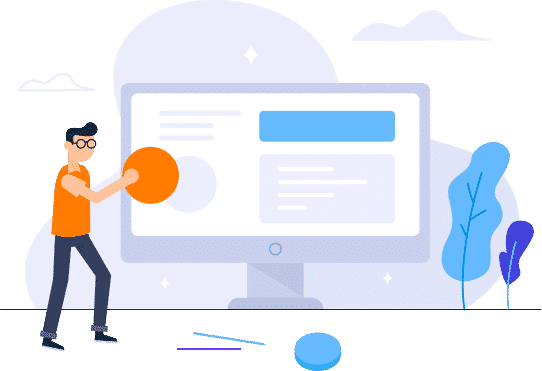 We want to make sure that your site is optimized from head to toe, which includes design, front-end coding, auditing, cleaning up your links and more. Every step we take to optimize your site is the product of a long history of SEO expertise. There’s no magic wand – we know the ins and outs of making your site rank with Google, and all these break down into concrete steps and tangible strategies. If you have particular needs for your site, we include them in our assessment. There’s no one-size-fits-all strategy to be had, only specialized solutions that work for Atlanta businesses. Every single one of our strategies all lead to one thing: growth. Increasing your rankings with Google and other search engines can seem like a daunting task, but with the right know-how we’re able to bring you immediate, lasting results. 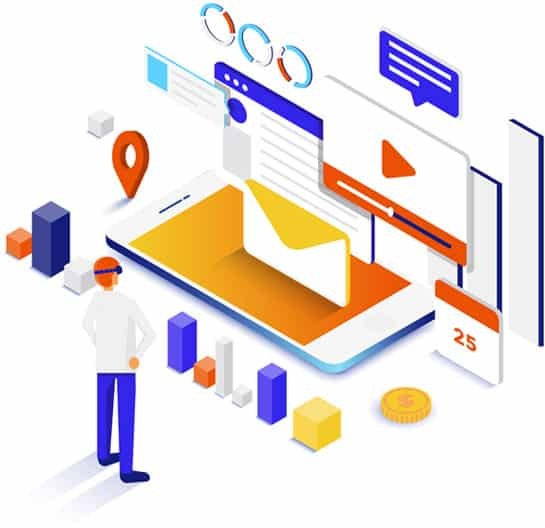 Our analytics will show you where your traffic is coming from, and we will provide a number of ways to track your ROI. Even the most successful of businesses need a hand every once in a while, which is why Effectus360 offers a complete SEO package for local businesses and entrepreneurs. Looking to optimize your site? Planning a monthly campaign? Seeking ways to increase your conversion rate or the amount of repeat visitors? We can help with all this and more – no matter your business goals, we have a solution. Get Your FREE SEO Consultation! We want to contribute to the growth of your business online and improve sales & ROI. Not reaching your projected numbers for growth? It’s time to try SEO strategy to grow your website visitors, conversions and sales. When it comes to increasing your online presence, nothing works as well as building a comprehensive SEO (search engine optimization) strategy. 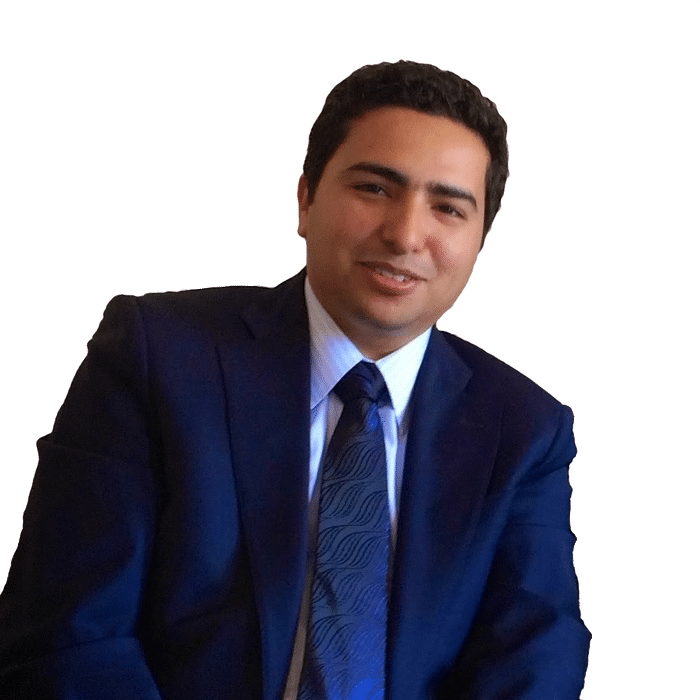 My name is Youssef Hodaigui, and I’ve been helping Atlanta businesses just like yours boost their SEO and online presence for over fifteen years. With our proven approach, you will find that your company comes up in Google search result. 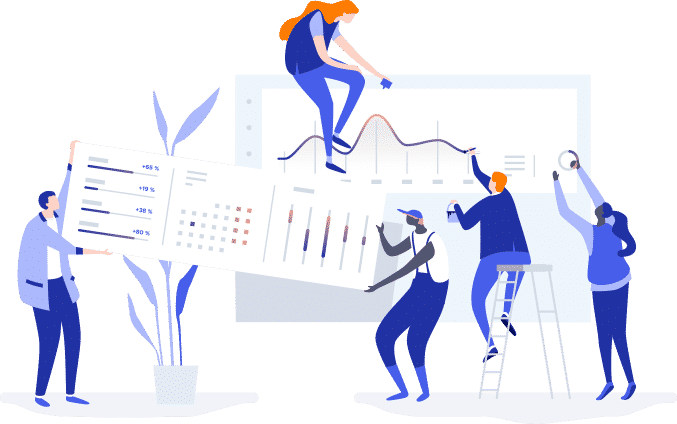 if you have been searching for an Atlanta SEO consulting or SEO agency, then you rest assured you have come to the right place. 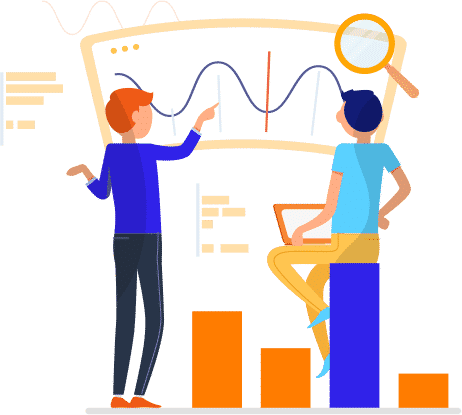 Our SEO experts at Effectus360 can help you achieve higher rankings, increase in revenue, and get a constant stream of new customers for your business. With our vast experience in the search industry, we have been exposed to the tumultuous roiling of the search engines’ algorithms. This will enable us to find and rank keywords that will convert. Our Atlanta SEO Expert will present you with an SEO package that includes a wide range of strategies to rank your website and drive more traffic and sales. Beyond experience, tactical and strategic foresight is critical. Our Atlanta SEO consultant will track organic positions, traffic, and even conversions so that you can measure your ROI easily. Our team will work with you in making your website ranking a success. Our CEO is a top SEO consultant with over 15 years’ experience in the SEO industry. Invest in SEO today for great results tomorrow! Building up your online presence is no quick affair, but by coming to the experts you’ll find yourself in the right place to succeed. With Effectus 360, finding Atlanta SEO success has never been more accessible! No matter what sort of product or services you offer, we’ll be able to design a step by step approach to making sure not only that the right audience finds your site, but that new visitors are translated into conversion. Everything starts with us getting to know more about your company’s unique history, which is why we recommend filling out the form below. Once we have your contact information, we’ll be able to get in touch with you soon about your free consultation. We’ll be able to talk about everything from keywords to site architecture to monthly campaigns, as well as what solutions work best for you and your brand. A great SEO strategy is marketing that works for you. 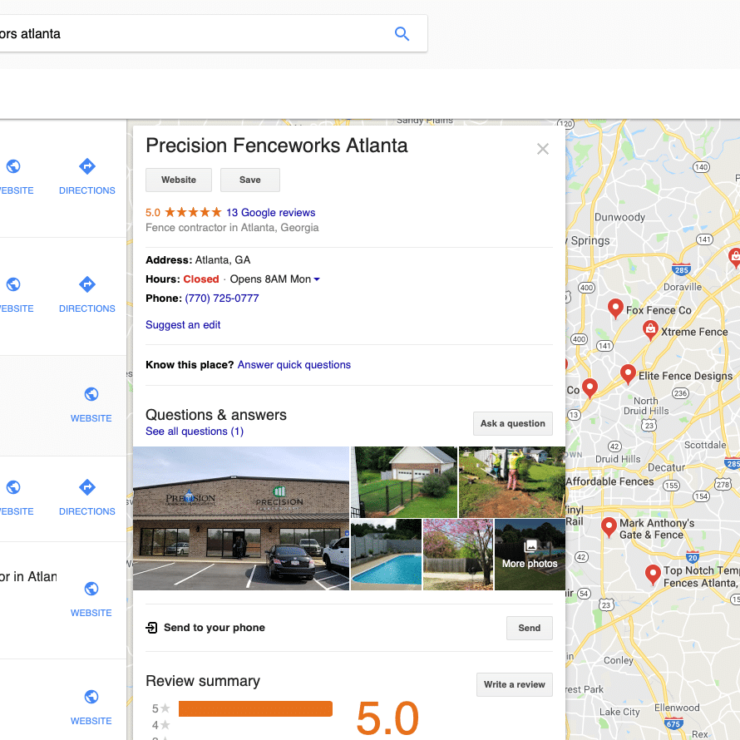 As compared to paid advertising or campaigns, your SEO architecture is constantly working to make sure that your name comes up more often whenever someone in Atlanta needs your services. When the time comes and you want to scale your business, everything will already be in place to start marketing at a national scale. With more users finding your company when searching for local expertise, you’ll find a noticeable uptick in traffic. People want to feel comfortable with a brand before they make a purchase or schedule a consultation, and your increased presence on search engine ranking goes a long way to build your legitimacy. More traffic on your site means more conversion. It’s that simple. Making sure that your site is optimized for local SEO means that you’re already attracting the demographics that are more likely to make a purchase on your site. 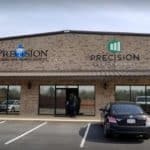 You have a service that people need – our Atlanta SEO services connect the dots and help your business to grow. Nothing is worse when it comes to SEO than a company that advertises one or two strategies that are guaranteed to boost your online presence. Search engine optimization, especially for local business, is such a personalized processed that there is no one strategy that will work for two different companies. Evaluating your site’s unique needs is one of the things Effectus360 does from the very start with our SEO audit. While our monthly campaigns above are meant to be constantly tweaking your site for optimal performance, our SEO audit sessions are often one-off consultations that reveal your site’s unique position online, and it reveals how to play to your existing successes while building a foundation for further growth. Even the most comprehensive site optimization means nothing without first evaluating where you are and where you want to go as a company. Our local, Atlanta SEO audit will help you get to know your company better and allow you to better take advantage of the opportunities ahead of you. Growing your online presence isn’t something that happens overnight. A proper SEO strategy is built from a number of smaller pieces: content production, analyzing keywords, link building, going over Google analytics and more. These are all things that can be address when a site is first built or optimized, but this isn’t enough. The online landscape changes every day, and what worked best in one quarter might already be outdated the next. Making sure that your company has a monthly SEO tune-up goes a long way in getting ahead of the competition. And making sure you’re ahead of the pack is one of the things we do best. Included as part of our package is a competition analysis – we want to make sure you’re on top of market trends. Making sure you have the best SEO Atlanta wide means constantly updating your content, links, site and ranking. Nothing is going to ensure your site’s success like being up to date on the latest trends. This keeps Google happy and makes sure you stay in the top ranking spots. Do your clients need SEO services? Outsource your optimization needs! If you’re an Atlanta SEO company yourself, you may be finding it difficult to keep up with all the work. With the massive popularity of SEO services in this day and age, everyone is trying to make sure their sites are optimized to rank high in Google for their area. Which is fantastic for business, but there can always be too much of a good thing. Which is why we’d like to offer our white-label SEO services. As a trusted name in Atlanta-area search engine optimization, we are more than happy to find out what your clients need and offer personalized solutions.  Since everything is white-label, none of our work is branded with our name and you’re able to present our reports and recommendations yourselves. Why do all the work yourselves when you can leave it to the experts? That way you can give your business your full attention so you can do what you do best. So now you have increased traffic and a higher ranking on your site. Is that all there is to an optimized site? Not quite! Yes, now you’ve more visitors seeing your content than ever before. You’ve got a trusted name in your sphere and you’re leveraged to use it. But none of that’s going to mean anything unless you can harness this growth and turn it into a higher conversion rate. Making sure you’re on top of your site’s look is one of the things we can help with. Imagine a visitor fresh from a Google search looking for an Atlanta business. They’re excited to see you appear near the top of the results and are hoping for a quick transaction, maybe even a regular relationship. But if your site layout is confusing, or if it’s not clear how to navigate, they’ll press back and go for the next company in the search results. Making sure everything looks great and organized is what we do. Making sure that your web content is optimized for conversion is one of the most important steps. It doesn’t matter if it’s your landing page, service descriptions or blog posts – everything needs to be geared toward helping your audience find what they need and respond to your calls to action. Even after being impressed by your site design or regular content, if your audience doesn’t know how to respond then they’ll never increase your conversion rate. At Effectus360 we make sure your calls to action are simple, clear, obvious and always in the right spot. When you work with us, the best Atlanta search engine optimization agency, you’ll never miss an opportunity again! When it comes to SEO and digital marketing, only results matter. Check out real websites, projects and campaigns. Search engine optimization is the process of making sure your website can be read easily by Google and other search engines. In today’s world, people are much more likely to do a Google search to see what businesses offer services and solutions, and so making sure that your site performs well is key to growth. That said, the ins and outs of what makes a site readable can seem complicated. Which is why Effectus 360 does all the work for you – we’ve had fifteen years of experience in the industry and know what it takes to rank high every time. While some might say that regular marketing is enough, we know that you need a strategy that continues working for you even when you’re not actively promoting a marketing campaign. While Pay Per Click ads on Google do bring extra traffic, you need a site that’s architected to show at the top of search results naturally. That’s where Effectus 360 comes in. Taking advantage of potential visitors who are already looking for a company like yours goes a long way to boost conversion rates, and studies show that SEO placement is 12% more effective than traditional advertising campaigns. In the same study it was shown that only 9% of businesses who invested in a solid SEO architecture railed to show major growth. But it’s not just about generalized SEO either – you need to invest in appearing in local searches. 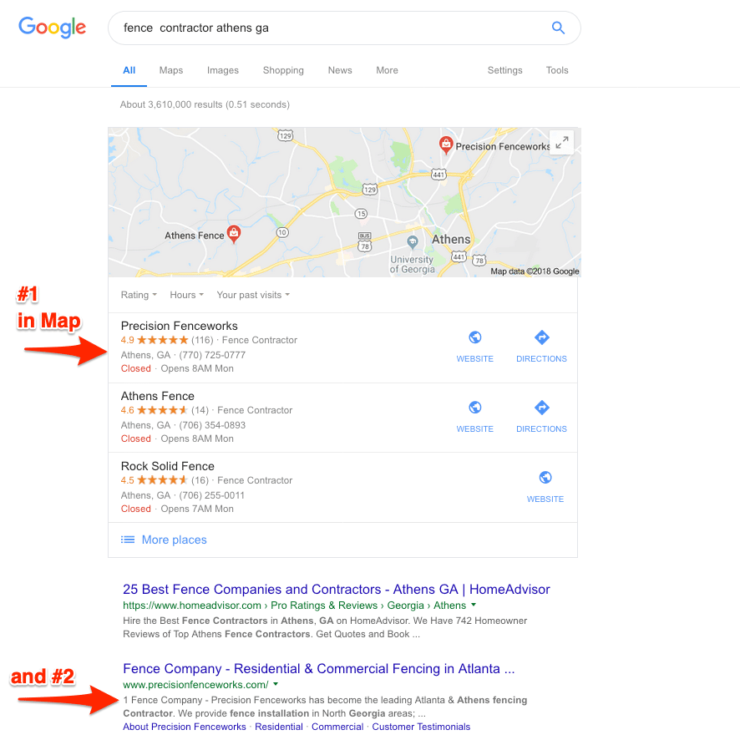 Working with an Atlanta SEO agency goes a long way to understanding local markets and taking advantage of opportunities right in your own backyard. One of the most overlooked ways to grow your market presence in your community is developing local SEO. If you’re an Atlanta company looking to increase your market share in the city, then you’re going to need a site that’s architectured to draw local attention. Think an Atlanta, GA SEO optimized site that shows up on search results whenever someone searches for businesses in the area. Try it for yourself: does your company appear in the first page of Google search results? If the answer is no, then you’re already losing revenue to the companies that do. Making sure your local SEO is in place is one of the most important things you can do for your marketing strategy. Recent studies have noted that over sixty percent of consumers are using search engines like Google to find trustworthy local businesses. Think about how you found us: you probably Googled Atlanta SEO company and found us pretty high up on the list. That’s what we do, pure and simple. We all know that it’s no easy thing to be running a company in today’s market. 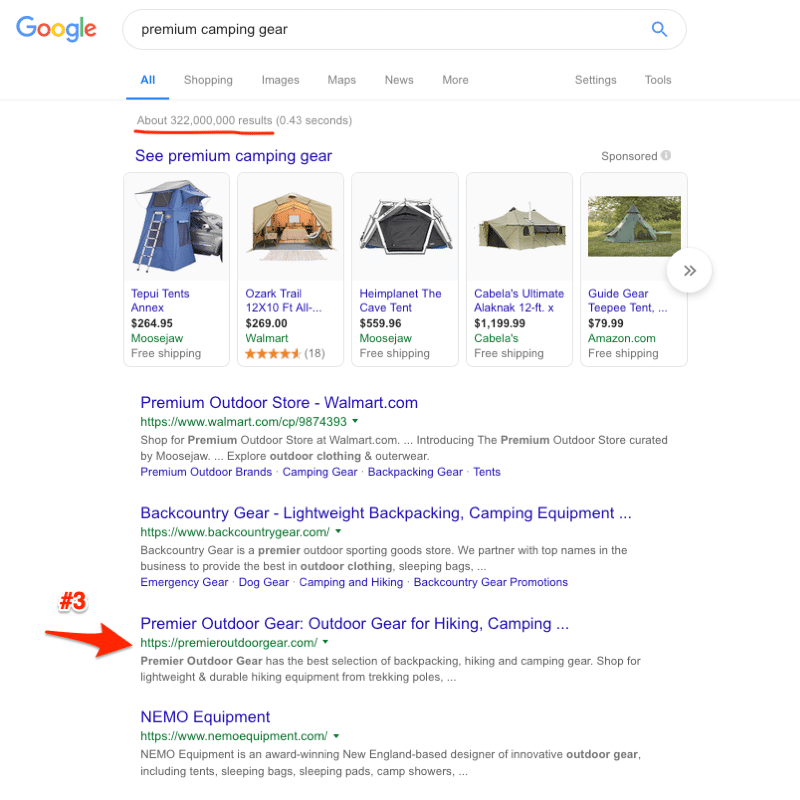 With the changes that happen every day, both on the market and even inside Google, making sure a page gets ranked high becomes more and more of a feat. Companies have to compete with rising competition as well as less space on Google’s results page itself. So you’re faced with a paradox: being ranked on the first page is both more important and more complicated than ever. As an Atlanta SEO provider, I know the game. I know the neighbourhood. And I know how much it matters to gain the trust of the community. Which is why I’ve been helping companies and entrepreneurs just like you for fifteen years. Together, we’ve optimized sites, increased traffic and raised conversion rates. In all my years I’ve picked up only the best SEO practices and know-how to make sure you keep up with Google. We’ve all listened to horror stories about how this or that company was burned by their SEO performance, or by some elementary mistakes that make their rankings plummet. I’ve heard them too. This is why I make sure that we use techniques that are tried, tested and true. There’s no get-traffic-fast silver bullet, just hard work to increase your audience over time and develop sustainable growth. We promise not to take on extra work that would lead to a conflict of interest, and we always choose to play the long game rather than take an easy shortcut. We at Effectus360 guarantee effective, ethical solutions to get your page ranked on the first page. The best way to make sure that your needs can be addressed by our Atlanta SEO firm is to arrange a consultation with us – completely free! We want to get to know your site as well as possible so that we can get to work on the best optimization plan you will find. Fill out the form and we’ll get to work right away! Our Tactics for Increasing Your Website Traffic and Generate More Leads. We’re not interested in smoke and mirrors – everything we do is transparent, concrete and geared towards scaling the growth of your company. With that in mind, here are some ways that we at Effectus360, as the Atlanta SEO company of choice, are able to optimize your site. Making sure that you have the right keywords is one of the most important parts of a local, Atlanta SEO strategy. This is going to be a pillar of what helps people zoom in on your business – it should be tied to the city and its environs. We take a look at your keywords and see how they can be optimized, as well as suggesting ways to make them even more effective. Any Atlanta SEO expert would be remiss if they ignored optimizing for Google My Business. These listings sometimes prove to be even more important than your site, as potential clients often encounter your brand first on a maps pack. An online citation is when a third party site shows your contact information, not unlike a phone book. We make sure that your citations are listed properly and are up to date – this is a step that shows Google that you’re a legitimate business and are ready for more traffic. We also seek more opportunities for potential citations. Having a comprehensive Atlanta SEO service isn’t just about making sure that everything’s good to go online. We also want to make sure there are directed PR campaigns that target people in our city. Whenever you appear in a high-quality publication, this creates more legitimacy for your brand and your rankings soar. Another way to improve your credibility is by adding authoritative inbound links. Effectus360 will draw out a plan on how to find opportunities and get links to your site on other pages – one of the best ways to do this is to seek guest blog opportunities. We can help you make connections and put your name out there as an expert in your field. Another way is to build up your presence on resource pages – think of them as guides or where-to-gos that solidify your online presence as well as create new sources of incoming traffic. 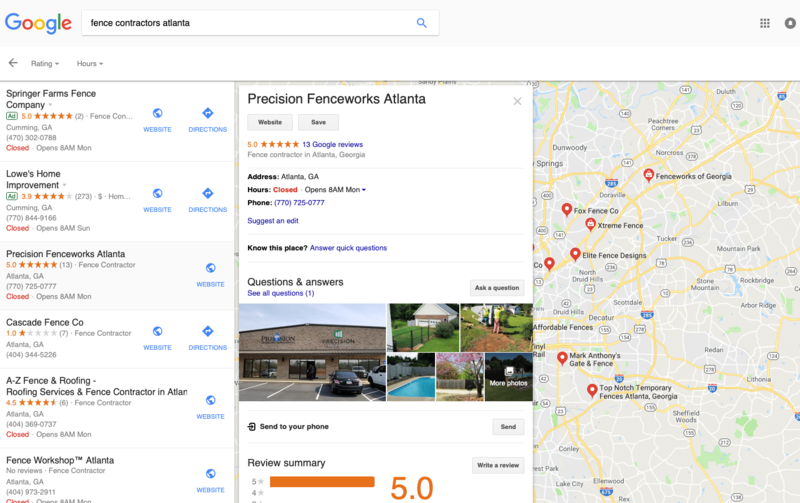 While all of the above are great Atlanta SEO strategies, you’re not going to be able to take full advantage of them without tracking your results. This is something we’re all too happy to do for you – as we uncover your successes (as well as potential areas for growth), we’ll be able to better suggest next steps. Why fly blind when Effectus360 can show you the way? Effectus360 Helps Businesses Make 7-8 Figures Through SEO and Conversion Web Design that Increase Traffic and Revenue.